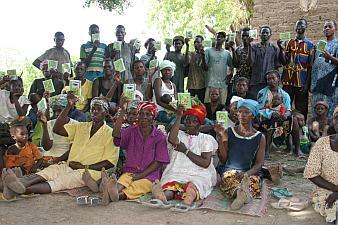 Burkina Faso: they remember the stories! They have been excellent tools and the Fulani have found them very helpful both in pictures and with the recordings. I in particular find them good with the women because they often see the picture and it jolts their memory as to what the story was about whereas if I just teach a bible verse they don't remember a thing a week later. Kids also love them. So overall I think they are still an extremely valuable tool. I couldn't have done what I have done without them that is for sure.